Announcements are an elegant way to keep customers and employees up to date with notable moments in the life of your business. Bring attention to your next banquet, awards ceremony, trade show, company party or other special event with unique, compelling, full-color announcements. 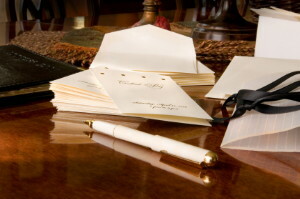 Whatever the occasion, your biggest business moments get our special attention.